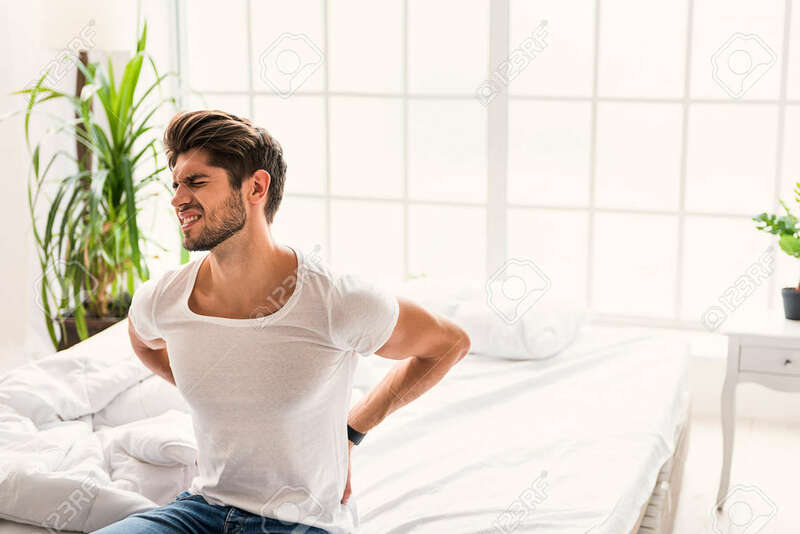 Young Man Suffering From Backache. He Is Sitting On Bed And Touching.. Stock Photo, Picture And Royalty Free Image. Image 66014430.